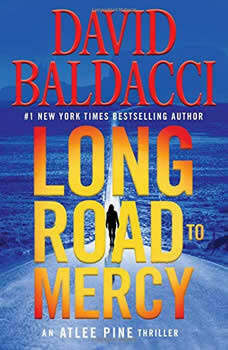 Author, David Baldacci, was born in Richmond VA in 1960. He had had a different plan for his life than most authors. He received a law degree from the University of VA and practiced in law for many years in Washington, DC. He actively began writing stories as a child after his mother gave him a notebook. As he got older he wrote short stories and screenplays without reaching much success. He then turned to writing a novel where he spent three years writing Absolute Powers in 1996, which proved to be a bestseller. He has published 29 bestselling adult novels and 4 children's novels. Baldacci and his wife live in Vienna, VA where they are the founders of "Wish You Well Foundation". (named after one of his novels, "Wish You Well" which was also a screenplay for the movie starring Ellen Burstyn.) The Foundation works to combat illiteracy in the United States. Baldacci has over 110 million copies of his book in print.